We love vegan cookbooks, and we’re especially excited to share the latest that we helped bring to life! Meet The Friendly Vegan Cookbook by Toni Okamoto and Michelle Cehn. This tasty e-book is packed with 14 delicious, affordable, healthy, and compassionate recipes that cover your bases for breakfast, lunch, snacks, dinner, dessert, and beyond. Can’t wait for a taste? You’re in luck. We’ve got a recipe from the book with you here today! 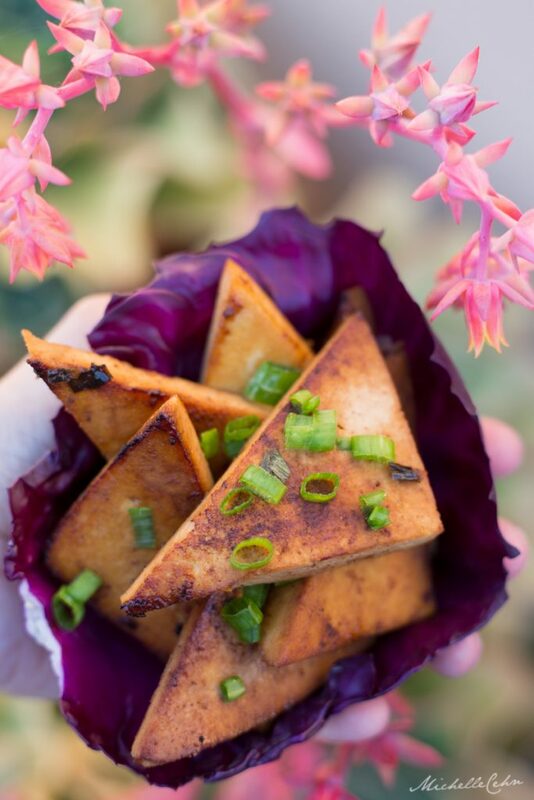 Meet our garlicky-ginger tofu triangles. They’re simple to make and delicious to enjoy on their own or topped on a buddha bowl. Bon appétit! There once was a time when we avoided tofu like the plague, but as soon as we learned how to prepare it tastefully, we fell in love. Today, it's one of our favorite foods! 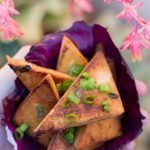 This recipe is an easy way to make tofu taste great, and it is fabulous served as a side or added to a dish. 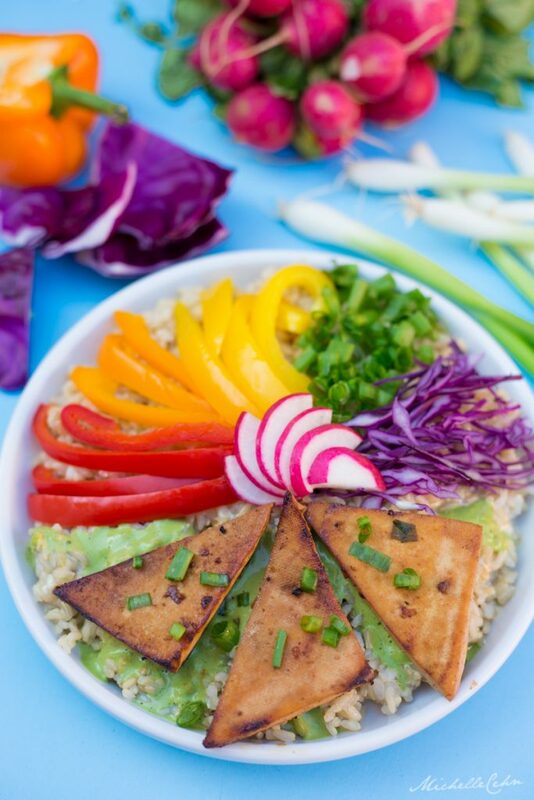 Cut tofu into ⅓ inch thick triangular slices, place in a large casserole dish, and set aside. 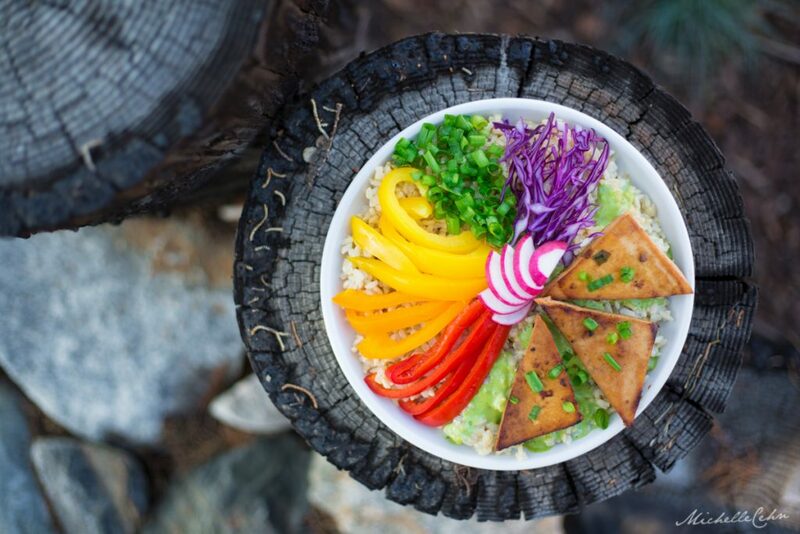 To create the marinade, thoroughly mix together the rest of the ingredients in a medium bowl and pour over the tofu. Allow tofu to sit for a minimum of two hours, or overnight for a richer taste. Flip tofu halfway in-between. Once tofu is marinated, place a large sauté pan over high heat. Add just enough oil to coat the bottom of the pan. Add as many tofu slices as will fit in one layer. Cook until tofu is browned on the bottom, 2-3 minutes. Flip the pieces, and brown on the other side, about 2 minutes. Pour in the marinade mixture, and cook until tofu darkens slightly, about 45 seconds. Flip tofu and repeat. Garnish with remaining thinly sliced green onion and enjoy! Sample recipe from The Friendly Vegan Cookbook. 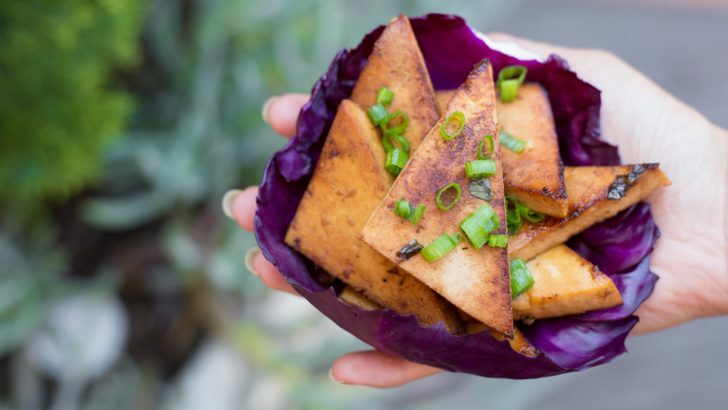 Love this marinated tofu recipe and hungry for more? 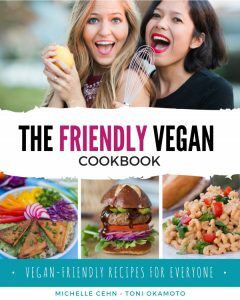 You can pick up a copy of our The Friendly Vegan Cookbook e-book and enjoy an intimate collection of our favorite recipes. I hope you fall in love with the recipes as much as we have!